The Nikkei ASEAN Manufacturing Purchasing Managers’ Index, or PMI, fell to 50.0 in June from 50.5 in May. India being the largest producer of cotton and jute and the second largest producer of man-made fibre has the potential to act as a reliable sourcing partner for ASEAN, Union Textiles Minister Smriti Irani said today. 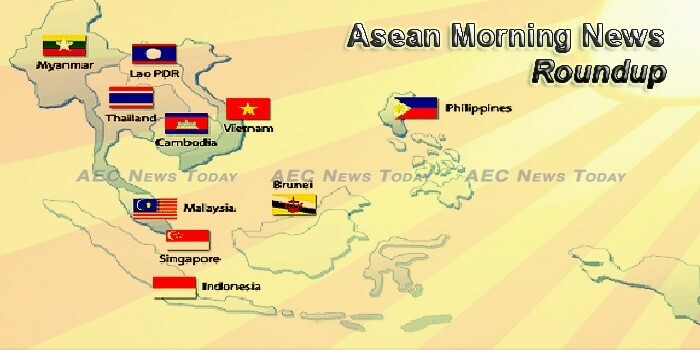 Some 134 million people in the Association of Southeast Asian Nations (ASEAN) region do not have access to electricity. At the end of 2015, the ASEAN community declared that lack of power and energy access could threaten the region’s economic growth and its economic transition. Vietnam’s e-commerce may be one of the world’s fastest-growing markets, but the country’s customers are also among the most demanding. A 10-day annual youth network workshop organized by the ASEAN-Korea Centre kicks off Monday in Incheon to forge strong networks among Asian students in achieving a sustainable and clean environment in the region. Motoring enthusiasts and automotive industry leaders have gathered in Manila for the first ASEAN Electric Vehicle and Hybrid Summit. Davao City Tourism Office (CTO) head Generose Tecson urged the national organizing committee (NOC) of the Association of Southeast Asian Nations (ASEAN) to push through with the scheduled two big ASEAN meetings in the city next month despite the 60-day martial law. A new ruling on foreign entries is set to provide the boost that Malaysian taekwondo needs to maintain its record of contributing gold medals at a home SEA Games. Thousands of Cambodians are flooding back from Thailand as its military government cracks down on migrant workers based on new foreign labor laws, escalating its enforcement from just using police officers to now enlisting the military, an official said on Sunday. A proposal for a massive warehouse and silo that has attracted two Chinese investors aims to fill the Kingdom’s conspicuous gap in paddy rice storage capacity, which still falls 60 percent short of the level needed for the country to achieve its goal of 1 million tonnes of annual rice exports. Art has the power to ignite imaginations, evoke emotions and spark creativity. Personal stories can be shared. Donald Trump was running for the US presidency when he personally raised with senior Indonesian politicians the need to have a toll road completed in Indonesia to benefit a massive new resort development in which he later invested. Indonesia has set minimum and maximum tariffs for online car-hailing services, aiming to ensure comparable pricing with conventional transport providers whose drivers have complained about being undercut by their newer competitors. The Nikkei Indonesia Manufacturing Purchasing Managers’ Index, or PMI, fell to 49.5 in June from 50.6 in May. The government has instructed relevant authorities to push for stronger wet-season agriculture production while addressing challenges that hinder local people’s commercial productivity. Effective September 17, investors looking to grow aroma bananas in Vientiane province will no longer be able to obtain the necessary permit for it. Australia will increase its Official Development Assistance to Laos from AUD40.7 million in 2016-2017 to AUD42.3 million in 2017-18. The Halal Industry Development Corporation (HDC) expects the exports of halal products to grow between five per cent and six per cent this year from RM42 billion recorded last year, said chief executive officer, Datuk Seri Jamil Bidin. The Nikkei Malaysia Manufacturing Purchasing Managers’ Index, or PMI, dropped to 46.9 in June from 48.7 in May, recording the lowest reading in the survey’s five-year history. There has been a substantial rise in green development projects in Malaysia as more developers and investors are drawn to the government’s “green” tax incentives and cost-saving initiatives. The Nikkei Myanmar Manufacturing Purchasing Managers’ Index, or PMI, showed that the country’s economy has retreated into contraction for the first time since December. THOUGH MYANMAR’S growth is expected to recover in fiscal year 2017-18 (ending March 31) to 7 per cent yearly after the economic slowdown last year, ASEAN+3 Macroeconomic Research Office (AMRO), the regional macroeconomic surveillance unit of Chiang Mai Initiative Multilateralisation, has warned of significant macroeconomic risks that could derail the nation’s favourable outlook. Only companies and countries with access to the latest technologies and technologies which minimise environmental impact will be considered to take part in hydro and coal power projects in Myanmar, a senior official from the Ministry of Electricity and Energy told The Myanmar Times. Bobby Falible was only 17 years old and a high school drop out doing farming jobs in Romblon when he started smoking, a habit he picked up from his friends. Farmers and fishermen and children of low-income families are still the poorest of the country’s basic sectors, according to the latest report of the Philippine Statistics Authority (PSA). THE PHILIPPINES has become “more attractive” to foreign direct investments (FDI), the US State Department said in a June 29 report, but nagging constraints like limits to foreign ownership, poor infrastructure, corruption and red tape must be addressed to improve competitiveness and ease the conduct of business. SIX Singapore companies are teaming up to participate in high-speed rail projects starting with the Kuala Lumpur-Singapore High Speed Rail (KL-SG HSR). Resale prices of Housing & Development Board (HDB) flats declined by 0.1 per cent in the second quarter of the year compared to the previous quarter, according to flash estimates released by HDB on Monday (Jul 3). A HOMEGROWN startup is betting on cryptocurrency crowdfunding as the next fintech vogue. It has created a platform to allow entrepreneurs to raise funds for their projects using virtual currencies such as Bitcoin or Ethereum, instead of regular currency. The government is keen to postpone the enforcement of the Migrant Labor Act for 120 days to give migrant workers time to gain legal status. The Nikkei Thailand Manufacturing Purchasing Managers’ Index, or PMI, rose to 50.4 in June from 49.7 in May. he 4.62-billion-baht Bangkok observation tower project will draw more than a million tourists per year and generate 47 billion baht of tourism income during its 30-year project duration, said the chief of the Treasury Department which is supervising the project site. Vietnam has ranked seventh on a list of the world’s Top 20 fastest-growing travel destinations, announced recently by the United Nations World Tourism Organization (UNWTO). The Vietnam Joint Stock Commercial Bank of Industry and Trade (Vietinbank) has signed a syndicated loan agreement worth 100 million USD with eight foreign financial institutions. The consumer price index (CPI) in June fell 0.17 per cent against May, marking the second successive monthly decline and driven by lower petroleum and foodstuff prices, the General Statistics Office (GSO) reports.